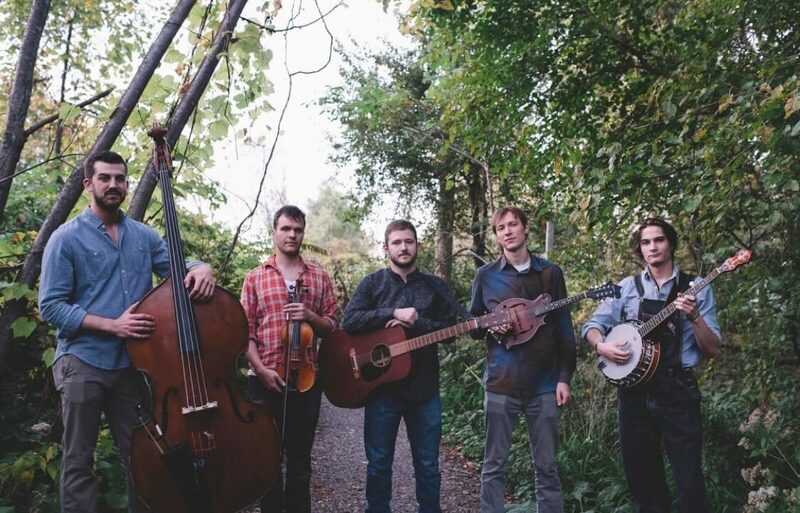 .Iowa City string band Flash In A Pan blends folk, indie rock, and bluegrass elements to inspire original compositions and covers. With the aim to ramble across the Midwest to rumble dance floors and street corners. This group has shared the stage with bluegrass royalty such as The Travellin McCourrys and played top-end music festivals including Summer Camp 2016 and a mainstage set at 2017’s Camp Euforia. The band is promoting their 2017 full-length album release “Off The Rails” (available on iTunes, Spotify, and Amazon).